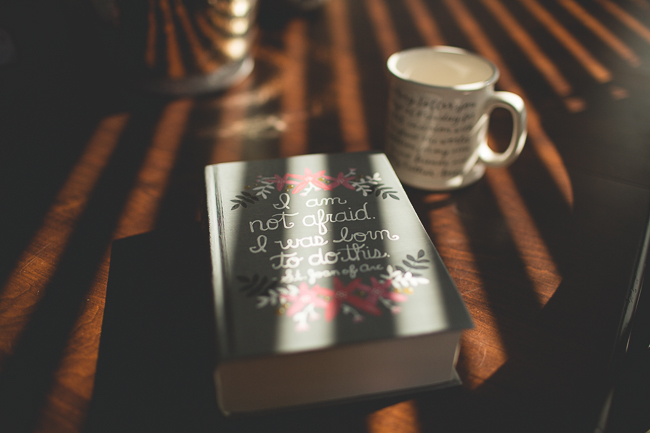 A few weeks ago, Lindsay from Just Love Prints contacted me about doing a little giveaway! I have so many talented friends who do amazing lettering, prints, mugs (the mug is the photo is from Hatch Prints), etc. So, I was anxious to check out her work. 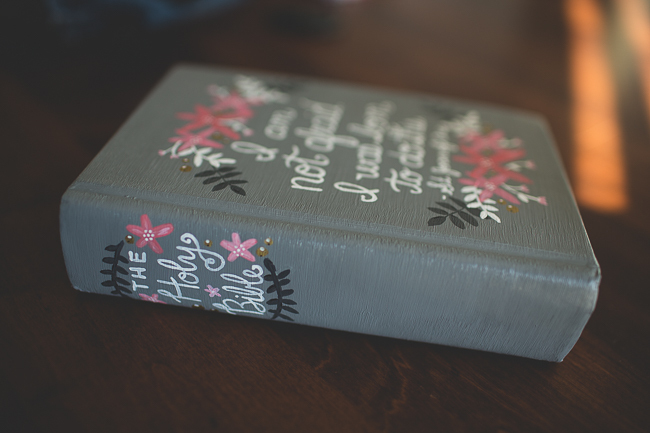 When I headed to her shop, she had just put up a new listing for a hand-painted Bible! She explained that her priest had told her that painting these Bibles was a beautiful way to glorify God...and she has! 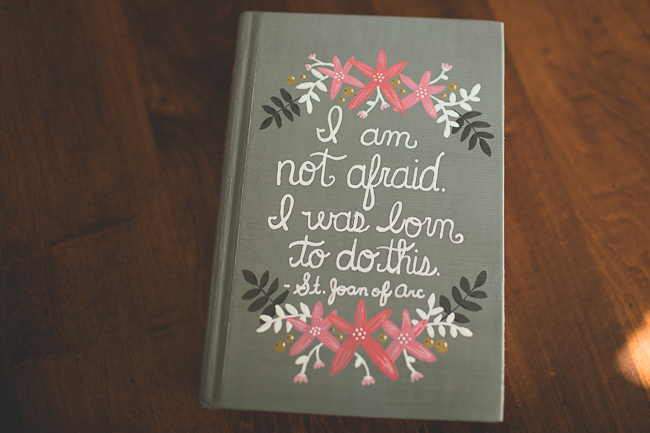 I requested a Joan of Arc quote, and this is what she sent! 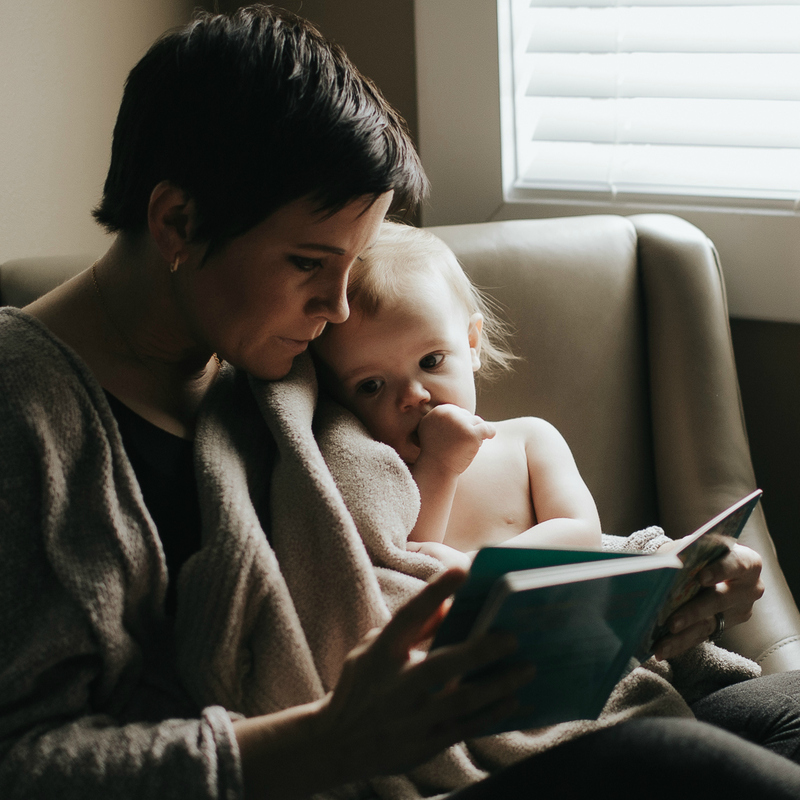 What's so neat about this Bible is that I loved it so much, but when I received it, I kept feeling like I needed to give it away. But, I had no idea who needed it. It was a few days later when I received a message from a friend growing up asking if I new where she might look to find a Catholic Bible. There was the answer I had prayed for, so she has it now! Lindsay will do custom designs, and she also has a few ready to ship. I really love this one, too! My kids would love to have this one, as it's part of our nightly prayer routine! She has free printables, and on top of everything else, a portion of all her proceeds go to help an amazing ministry! Basically, Lindsay can do whatever you'd like! And, she's generously offering one of you readers a free print of your choosing. Simply head on over to my Instagram for more details!